First, I want to acknowledge that for this piece I have lifted and paraphrased from a statement by Dr. John Cannell M.D., the head of the Vitamin D Council. So, it is he speaking not me, but I applaud what he is saying. The Food and Nutrition Board, a division of the National Institute of Medicine, recently released its updated recommendations concerning Vitamin D. What a disappointment! Pregnant women are being advised to take only 600 IUs of Vitamin D daily. That is unbelivable. Professor Bruce Hollis, a leading Vitamin D researcher from the Medical University of South Carolina, has published papers showing that pregnant and lactating women need at least 5000 IUs/day of Vitamin D. 600 IUs is only 200 IUS than the 400 IUs recommended for tiny babies. Since the need for Vitamin D is very dependent on body size, how could a full-grown woman require little more Vitamin D than an 8 pound baby! To keep these numbers in perspective, realize that a summer sunbath for 30 minutes delivers more than 10,000 IUs of Vitamin D.
As though it's living in the Dark Age, the FNB addressed only the role of Vitamin D in bone health, ignoring its vital role in heart health, brain health, breast health, prostate health, pancreatic health, muscle health, nerve health, eye health, immune health, colon health, liver health, mood health, skin health, and especially fetal health. Tens of millions of pregnant women and their breast-feeding infants are severely vitamin D deficient, resulting in a great increase in the medieval disease, rickets. The FNB report seems to reason that if so many pregnant women have low vitamin D blood levels then it must be OK because such low levels are so common. However, such circular logic simply represents the cave man existence (never exposed to the light of the sun) of most modern-day pregnant women. Hence, if you want to optimize your vitamin D levels - not just optimize the bone effect - supplementing is crucial. But it is almost impossible to significantly raise your vitamin D levels when supplementing at only 600 IU/day (15 micrograms). Pregnant women taking 400 IU/day have the same blood levels as pregnant women not taking vitamin D; that is, 400 IU is a meaninglessly small dose for pregnant women. Even taking 2,000 IU/day of vitamin D will only increase the vitamin D levels of most pregnant women by about 10 points, depending mainly on their weight. Professor Bruce Hollis has shown that 2,000 IU/day does not raise vitamin D to healthy or natural levels in either pregnant or lactating women. Therefore supplementing with higher amounts - like 5000 IU/day - is crucial for those women who want their fetus to enjoy optimal vitamin D levels, and the future health benefits that go along with it. For example, taking only two of the hundreds of recently published studies: Professor Urashima and colleagues in Japan, gave 1,200 IU/day of vitamin D3 for six months to Japanese 10-year-olds in a randomized controlled trial. They found vitamin D dramatically reduced the incidence of influenza A as well as the episodes of asthma attacks in the treated kids while the placebo group was not so fortunate. If Dr. Urashima had followed the newest FNB recommendations, it is unlikely that 400 IU/day treatment arm would have done much of anything and some of the treated young teenagers may have come to serious harm without the vitamin D. Likewise, a randomized controlled prevention trial of adults by Professor Joan Lappe and colleagues at Creighton University, which showed dramatic improvements in the health of internal organs, used more than twice the FNB's new adult recommendations. Today, the Vitamin D Council directed our attorney to file a federal Freedom of Information (FOI) request to the IOM's FNB for the release of these 14 reports. Today, the FNB has failed millions of pregnant women whose as yet unborn babies will pay the price. 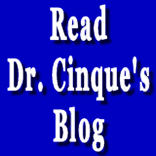 Note from Dr. Cinque: I, too, take 5000 IUs of Vitamin D3 every day. And I have my 25 (OH) Vitamin D tested every year in April. Last time it was 45, which is still a little bit below the optimal range of 50 to 80. So how could a person taking a mere 600 IUs ever get close to optimal and especially when she is pregnant? "Considering the expected epidemic of chronic kidney disease in the next decade, further clinical trials using pomegranate juice aimed at reducing the high cardiovascular morbidity of chronic kidney disease patients and their deterioration to end-stage renal disease should be conducted." The study was presented during the American Society of Nephrology's Renal Week 2010 in New York City, the largest nephrology meeting in the world. My first thought was that if pomegranate could do that much good for those who are in kidney failure, how much good could it do for a relatively healthy person? I don't know about you but this time of year (autumn) I am consuming pomegranate juice every day. I make it in my Champion juicer. I realize that I could just eat the pomegranate seeds and pulp, but the seeds are rather gritty, which I don't like. So, I prefer to make juice. Sometimes, I just drink the juice by itself, but often I make a smoothie consisting of fresh pomegranate juice, organic tofu made from sprouted soybeans, and ripe bananas. Talk about a great smoothie! It is like a jolt of energy. I hope you are making the most of this pomegranate season.